The FeCl3-mediated condensation of an α-phenylenamino ester and an enone proceeds efficiently to afford a 2-phenylnicotinate. The subsequent intramolecular Friedel–Crafts reaction yielded an ­onychine framework. 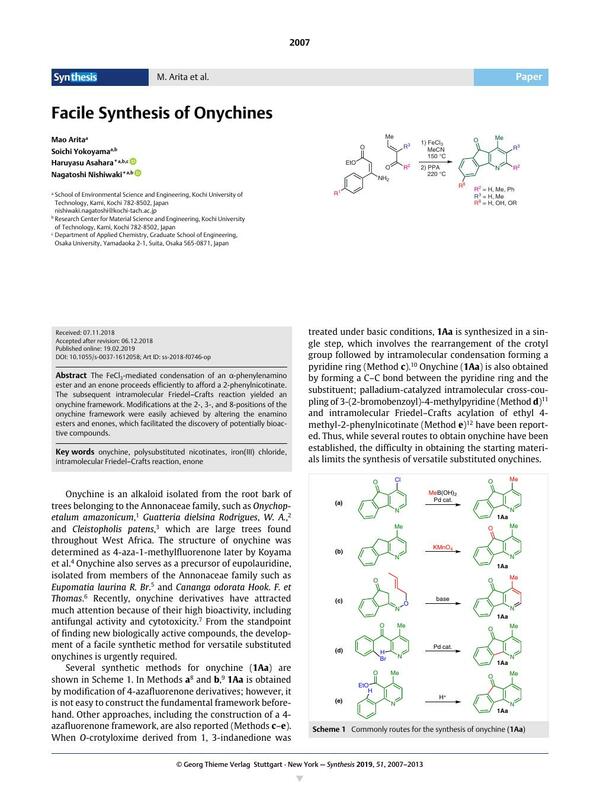 Modifications at the 2-, 3-, and 8-positions of the onychine framework were easily achieved by altering the enamino esters­ and enones, which facilitated the discovery of potentially bioactive compounds. Supporting information for this article is available online at https://doi.org/10.1055/s-0037-1612058.